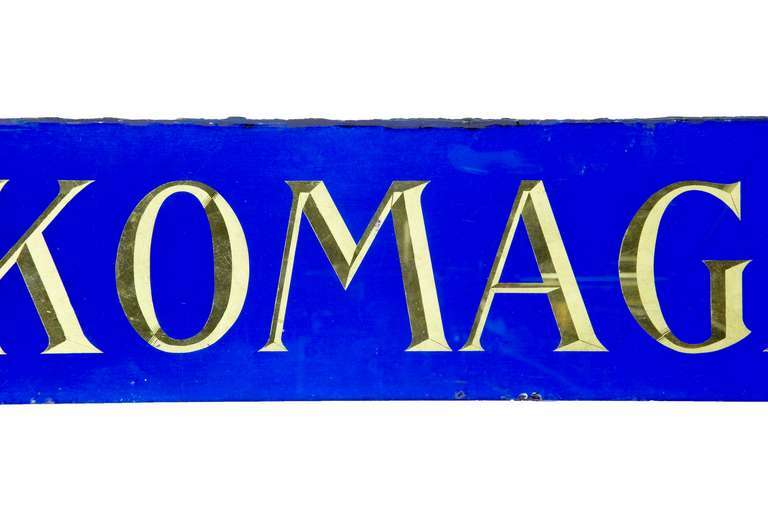 Decorative blue glass and gold boutique shoe shop sign Stunning piece of shop front signage from Sweden, gold bevelled effect lettering on blue background. Lovely decorative piece. Would look stunning backlit. circa 1920s Height: 8 1/3" Length: 65 1/4" Ea188. 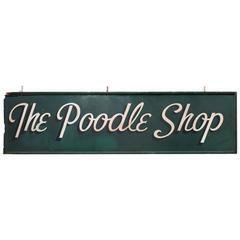 This large, well-weathered sign has developed a handsome patina over its original brown and black lacquer; the piece is made from elm wood. Very impressive wooden vintage English shop sign, which reads ‘R. Forrest’. It was reputedly from the Gloucestershire area. Measures: Height 48cm x width 291cm x depth 8cm. 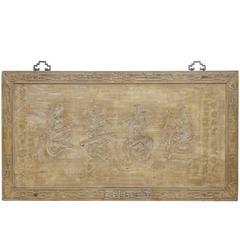 Decorative and small antique cast iron fireback. Great usable size and excellent condition. To be used in a fireplace or as a backsplash. Can be supplied with stand.